Seattle Escalator Accident Attorneys | Davis Law Group, P.S. When escalators and moving walkways malfunction, passengers can suffer serious injuries or death. These sorts of accidents are far more common than you might think. Over 10,000 people are injured every year in escalator accidents. More than 70 percent of the injuries are related to escalator falls — people falling when getting on/off the escalator or when clothing or limbs get caught. There are often serious injuries as a result of people who lose their balance while on the escalator and then fall onto other passengers. The companies that own, operate and maintain escalators have experienced litigators and defense law firms on retainer to protect their interests and help them minimize or deny injury claims. Escalator injury victims should seriously considering hiring their own attorneys to assist with their accident claim in order to make sure that they are fairly compensated. For a free case evaluation with an attorney at Davis Law Group, call (206) 727-4000, use the chat feature below or fill out the form on this page. For nearly 25 years, attorney Chris Davis and the team at Seattle-based Davis Law Group have been helping victims of escalator accidents across Washington state. Mr. Davis fights for every individual client to make sure they get the proper compensation for their injuries. For a free case evaluation, call (206) 727-4000 today. We work on a contingency fee basis, meaning we don’t get paid unless you win your case. There are several potential liable parties after an escalator accident. The details of your specific case will determine who may be at fault. The rider. This may be you or another person on the escalator with you. Escalator companies must properly warn people of the hazards, and escalators must be designed in a way that won’t harm people. If you or someone else knowingly breaks the rules on the escalator or acts recklessly, the escalator company likely has no responsibility for injuries. The owner/operator of the escalator. For example, if an escalator is located in a shopping mall, the property owner may face a lawsuit if the escalator caused an injury. Those owners must schedule maintenance, conduct inspections, post signs, and properly maintain a safe environment. The escalator manufacturer. When an escalator breaks down and causes injury, the escalator manufacturer may be held liable. A design flaw, assembly mistake, or incorrect installation mistake could all be tracked back to the company that made the escalator. There are a variety of different injuries that victims may sustain in a serious escalator accident. The severity of the incident and the circumstances of the individual will determine the type and during of the treatment. There is a nearly limitless number of potential causes of escalator accidents. Escalators are used around the world in places where elevators would be impractical. 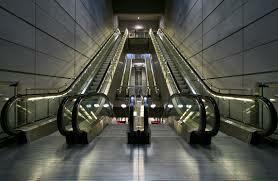 Escalators have the capacity to lift large numbers of people in a constant flow. It is likely most people have or will ride on an escalator at some point in their lives. While accidents are generally rare, when they do occur, they can leave victims with devastating injuries. If you or a loved one has been injured while riding on an escalator please do not hesitate to contact Davis Law Group today. Call (206) 727-4000, use the contact form on this page or use the chat feature below to get started. We offer free case evaluations.